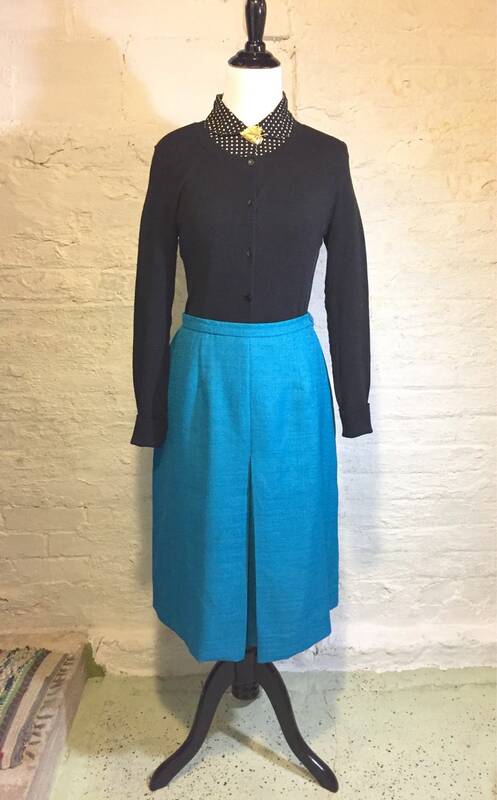 Vintage 1960s teal tea-length skirt. Perfect condition. Front middle pleat, button and zipper closure on side, with elastic waistband in back.